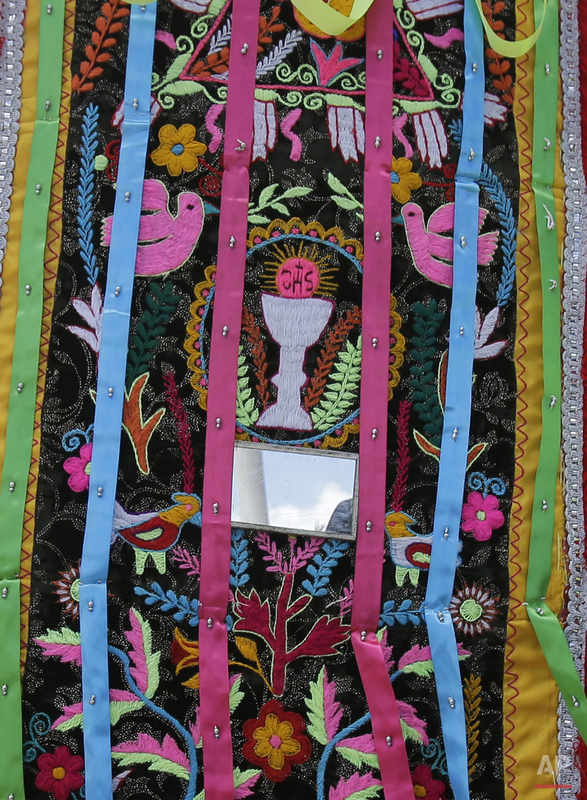 Photos by Dolores Ochoa Rich indigenous traditions dating back centuries before European priests arrived in the New World are on display throughout South America. 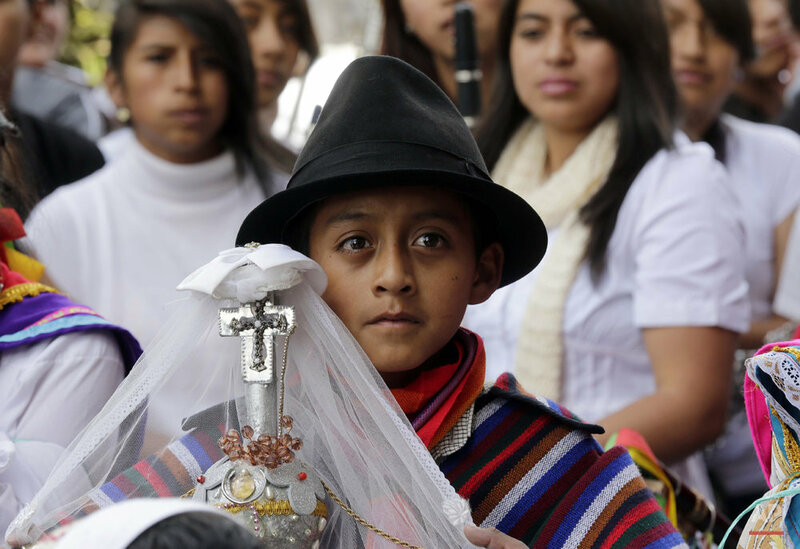 As Pope Francis tours Ecuador, the government has recruited indigenous people to greet the pontiff at many events. Church officials say he'll make remarks in native tongues including Aymara, Quechua and Guarani during his South American tour, which also includes stops in Bolivia and Paraguay. 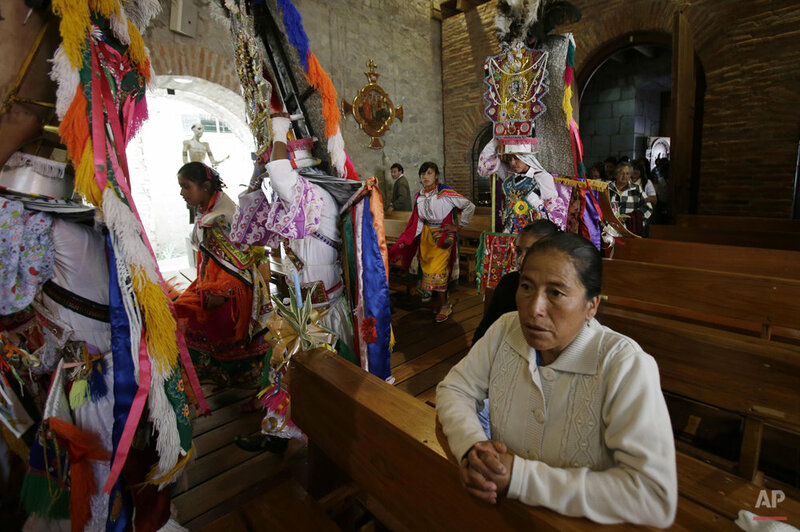 While most of the region's native peoples identify themselves as Roman Catholic, some practice syncretic rituals that blend the church's traditional beliefs with native customs. Many Andean people see no contradiction in it, including President Evo Morales of Bolivia. 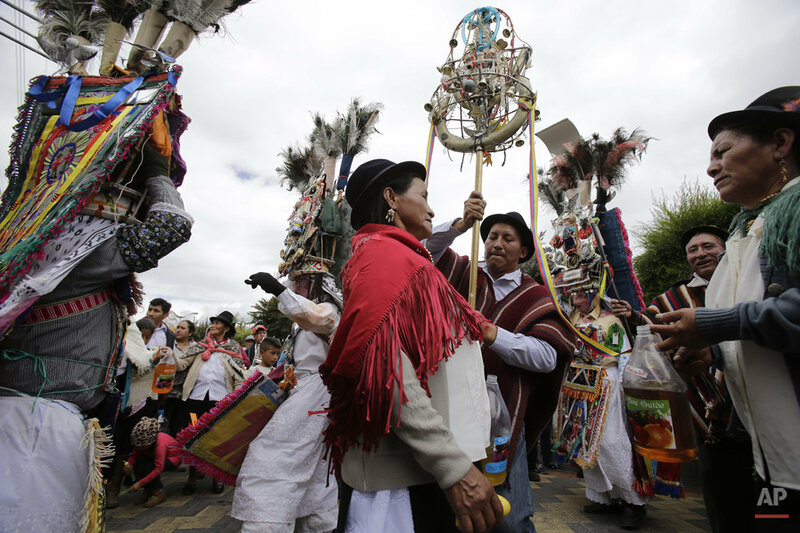 A recent Corpus Christi festival in the Ecuadorean city of Pujili featured joyous dances and ceremonial acts of thanks to the ancient native gods Inti, or Father Sun, and Pachamama, or Mother Earth. Dressed in brightly colored costumes and tall headdresses decorated with beads, coins, crosses and mirrors, the performers danced to the indigenous deities. They then moved into the community's Catholic church to dance in honor of the feast day of the Holy Eucharist, which Catholics believe is the body and blood of Jesus Christ. Other rituals are overwhelmingly Catholic, like a recent procession in Quito honoring the Sacred Heart of Jesus. But the participants themselves were overwhelmingly indigenous: from the man carrying the big framed painting of a blond Jesus, to the women dressed as Our Lady of Sorrows in long robes and spiky metal headdresses, to the little girls wearing white angel costumes with wings of real feathers. In Bolivia, ceremonies to make offerings to Pachamama include the Andean priests reciting the Our Father, while mountain shrines to Mother Earth also have Christian crosses. 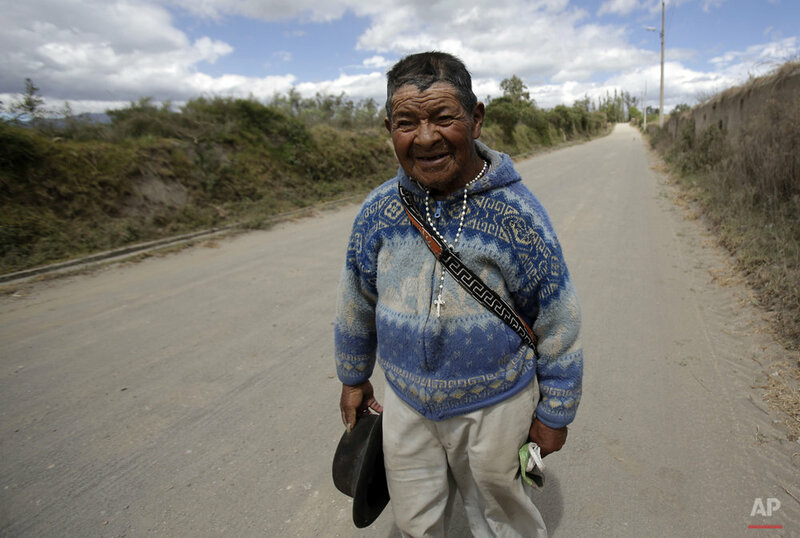 The 2009 U.N. Sociolinguist Atlas of Latin America said 71 percent of the people in Ecuador's highlands are indigenous while 90 percent are in Bolivia. Text from AP news story, AP PHOTOS: Pope Encountering Rich Indigenous Traditions, by Jacob Garcia.